Xiaomi has launched its latest selfie-centric phone in India dubbed as the Redmi Y2. 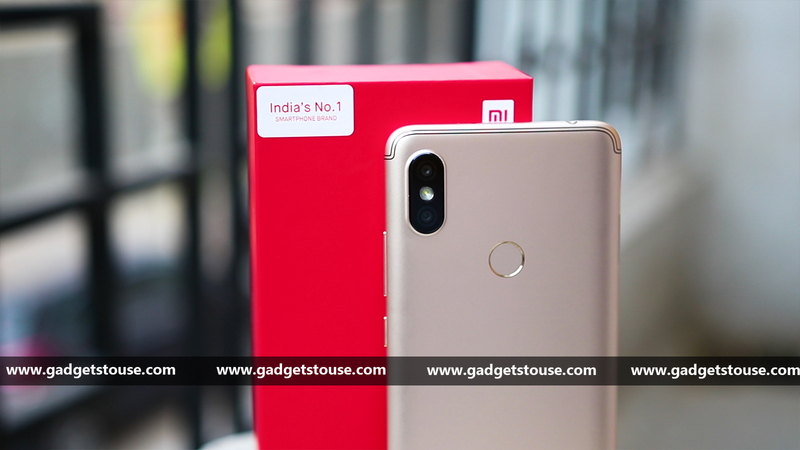 It is the successor to last year’s Redmi Y1 and comes with several improvements such as an 18:9 display, better selfie camera, dual rear camera, and an upgraded hardware. 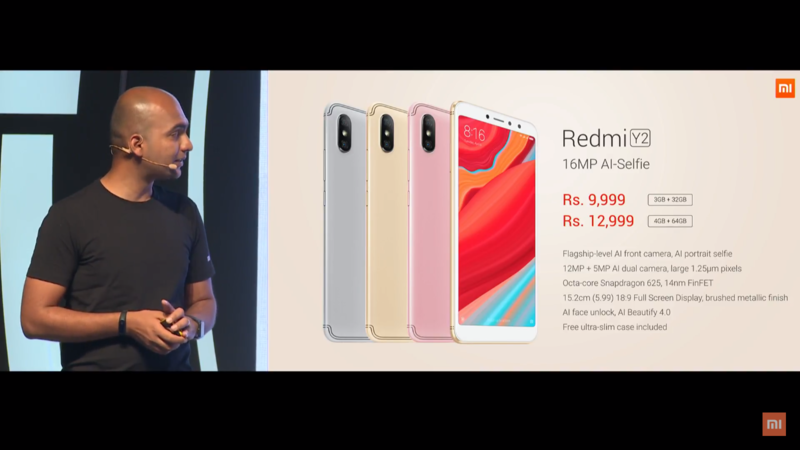 The Redmi Y2 price in India starts at Rs. 9,999 and it will be available as an Amazon exclusive. There are a lot of selfie-centric smartphones available in India across various price ranges. 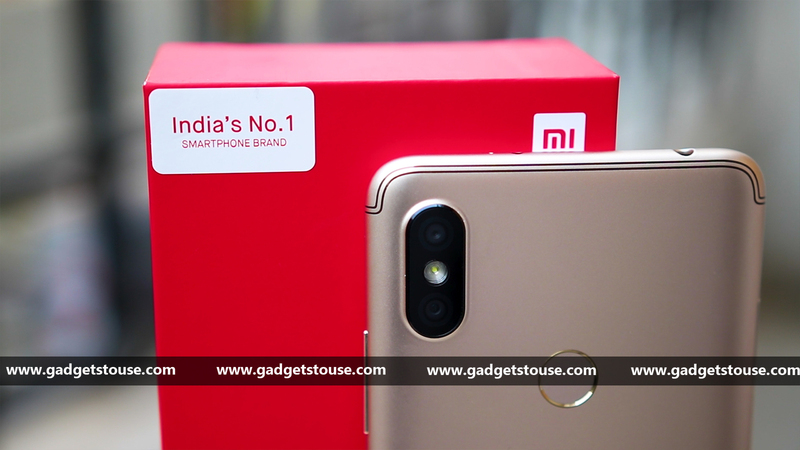 Now, with Xiaomi has launched another selfie phone in its Y series making the competition in budget segment even higher. If you’ve been thinking of buying the new Redmi Y2, it’s good to know all about the phone. Question: How is the build quality of Redmi Y2? Answer: The Xiaomi Redmi Y2 comes with a discreet design brushed with a metallic finish and a rounded back with stylish separation lines which make it a unique design. Moreover, it comes with an 18:9 full-screen display for a better viewing experience. Question: How is the display of the Redmi Y2? Answer: The Xiaomi Redmi Y2 sports a 5.99-inch HD+ LCD display. The display comes with an HD+ screen resolution of 720 x 1440 pixels. Further, it sports 18:9 aspect ratio which means it has a full-screen display with minimum bezels. Question: Does the Redmi Y2 feature a fingerprint sensor and IR Blaster? Answer: Yes, the Redmi Y1 is equipped with a fingerprint sensor at the back. Similar to any Redmi device, it also has an IR sensor at the top, which enables you to control TV or AC. Question: Is the Redmi Y2 water resistant? Answer: No, the Redmi Y2 isn’t water resistant. Question: What are the camera features of Redmi Y2? Answer: Coming to the optics, the Redmi Y2 comes with a dual rear camera setup. Its features are a 12 MP primary sensor with f/2.2, 1.25µm pixel size and a 5 MP secondary sensor with LED flash. 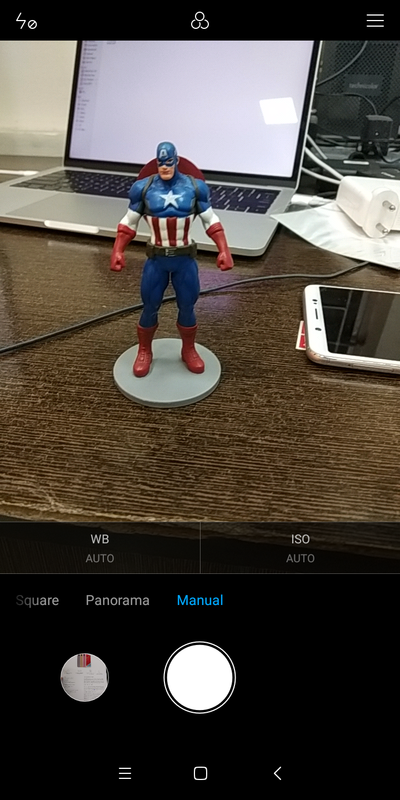 On the front, there is a 16MP camera with f/2.0, 2.0µm pixel size and AI beautify 4.0. Redmi Y2 offers portrait mode in the front camera and the large pixel size results in better low light selfies. 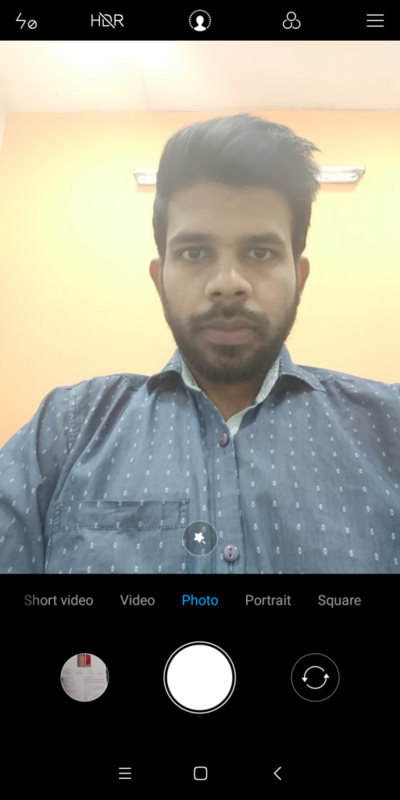 Question: What are the available camera modes on Redmi Y2? Answer: There are several camera modes in both the cameras of Redmi Y2 including the portrait, panorama and a Pro mode as well. Question: What are the new features of the Redmi Y2 front camera? Answer: The Redmi Y2 will let you capture portrait shots even with the front shooter. Apart from that, the company has used ‘Super Pixel’ technology to combine four pixels into one large 2.0 µm pixel. Another new feature is the addition of AI Beautify 4.0 and face unlock feature. Question: Can 4K videos be recorded on Redmi Y2? Answer: No, you cannot record 4K videos on Redmi Y2. Only 1080p recording at 30fps on Redmi Y2 is supported. Question: Does the Redmi Y2 has image stabilization? Answer: No, the Redmi Y2 doesn’t come loaded with any image stabilization OIS or EIS. 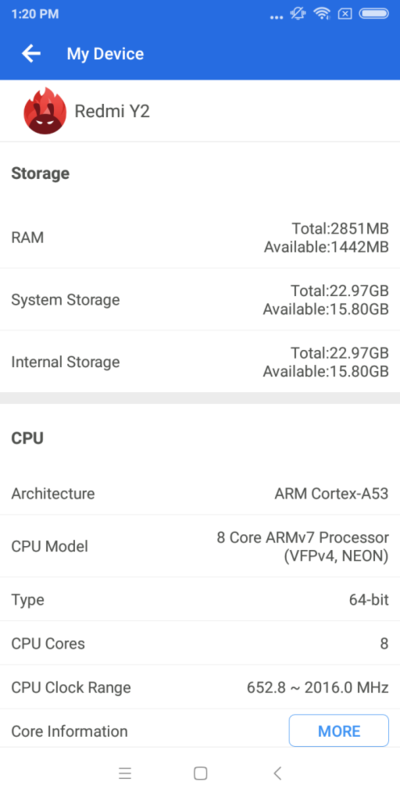 Question: Which mobile processor is used in Redmi Y2? Answer: The Redmi Y2 comes powered by Qualcomm’s octa-core Snapdragon 625 processor with Adreno 506 GPU. 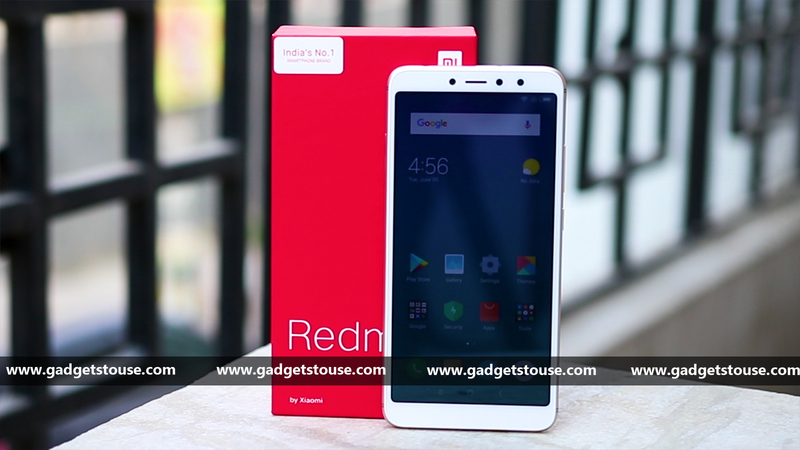 Question: How much RAM and internal storage come with the Redmi Y2? Answer: The smartphone comes with 3GB or 4GB RAM. The storage options are 64GB and 32GB edition. Question: Can the internal storage in the Redmi Y2 be expanded? Answer: Yes, the internal storage on the Redmi Y2 is expandable up to 256GB via a dedicated microSD card slot. Question: What is the battery size on Redmi Y2? Answer: The Redmi Y2 is powered by a 3,080mAh non-removable battery which is said to offer full day backup. 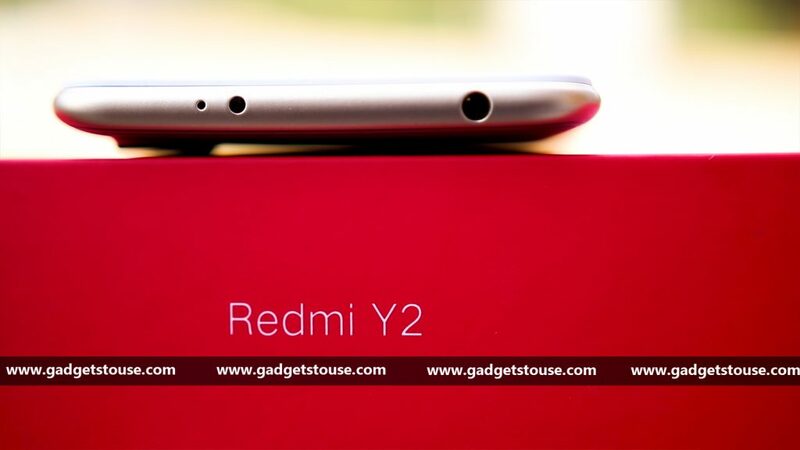 Question: Which Android version runs on the Redmi Y2? 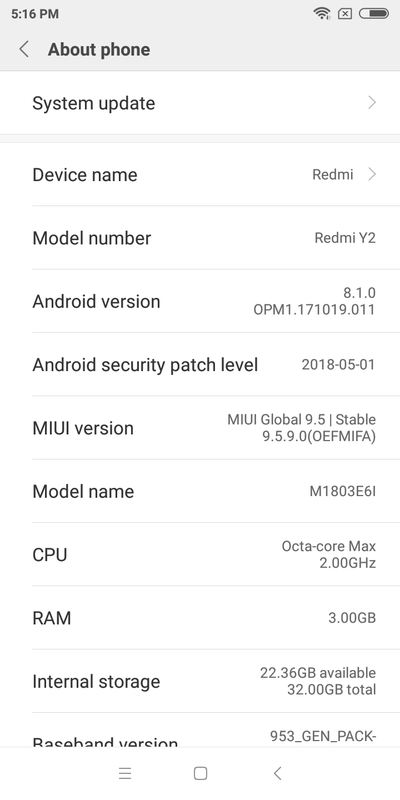 Answer: The Xiaomi Redmi Y2 runs MIUI 9.5 skin on top of Android 8.1 Oreo. Question: Does the Xiaomi Redmi Y2 support both LTE and VoLTE networks? Answer: Yes, the phone supports both LTE and VoLTE networks. However, Redmi Y2 doesn’t support dual VoLTE feature. 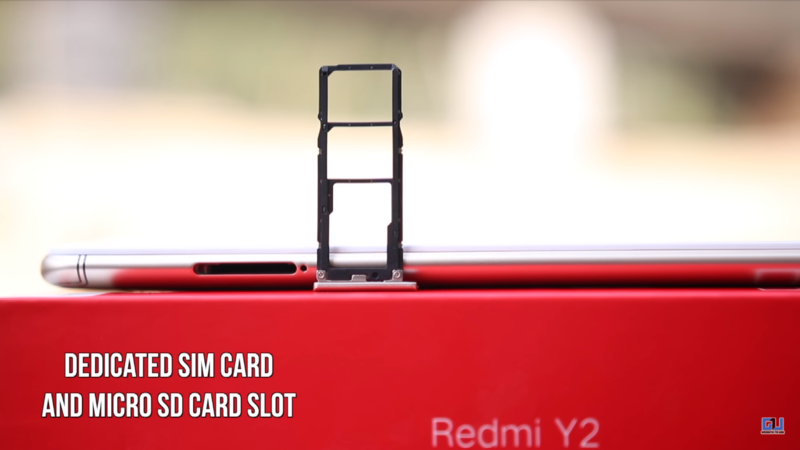 Question: Does Redmi Y2 support dual SIM cards? 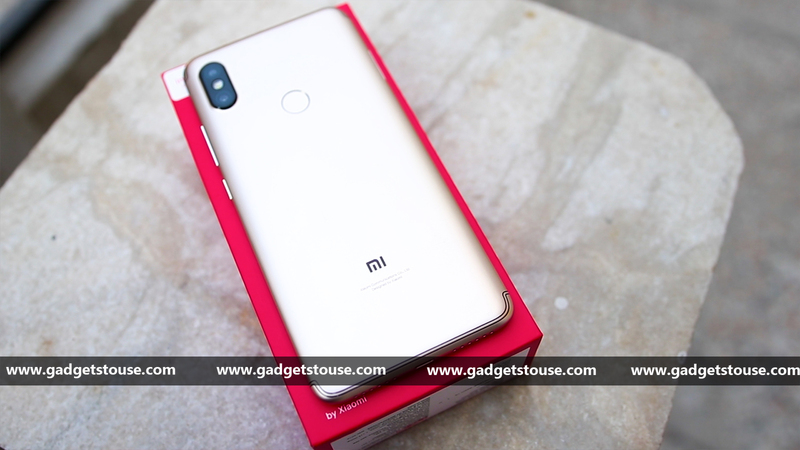 Question: Is there a dedicated microSD card slot in Redmi Y2? Answer: Yes, the phone comes with a dedicated microSD slot. 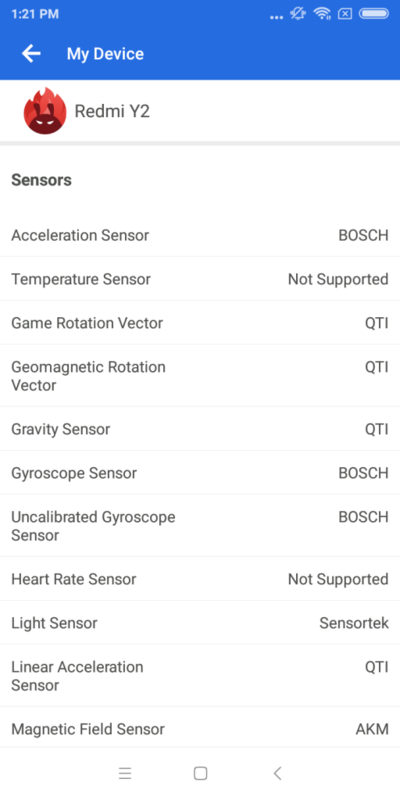 Question: Does the Redmi Y2 support NFC connectivity? Question: Does the Redmi Y2 sport a 3.5mm headphone jack? Question: Which charger type does the Redmi Y2 support? Answer: The Redmi Y2 still relies on a micro USB port. This restricts you from using fast charging or faster data transfers. Question: Does it have face unlock? Answer: Yes, the Redmi Y2 has Face Unlock feature. 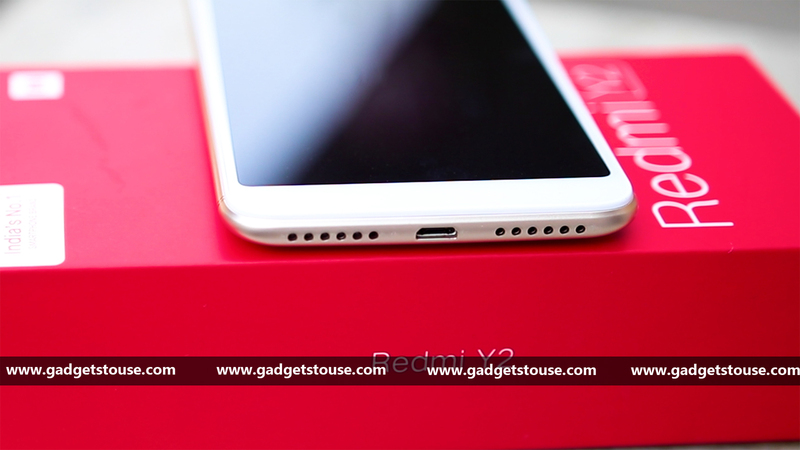 Question: How is the audio experience of Redmi Y2? Answer: As per our initial testing, the Redmi Y2 is loud and clear in terms of audio. It features active noise cancellation with a dedicated mic as well. 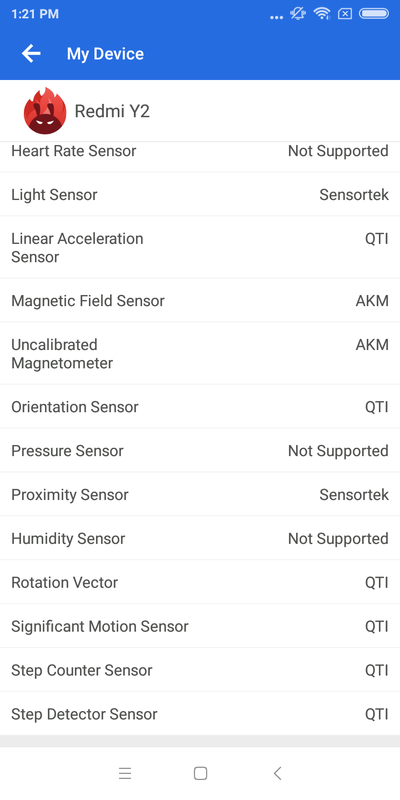 Question: What sensors are there in Redmi Y2? Answer: The Xiaomi Redmi Y2 comes with fingerprint (rear-mounted), IR, accelerometer, gyro, proximity, and compass. Question: What is the price of Redmi Y2 in India? Answer: The Redmi Y2 has been priced at Rs. 9,999 in India for the 3GB/32GB model and the 4GB/64GB variant is priced at Rs. 12,999. 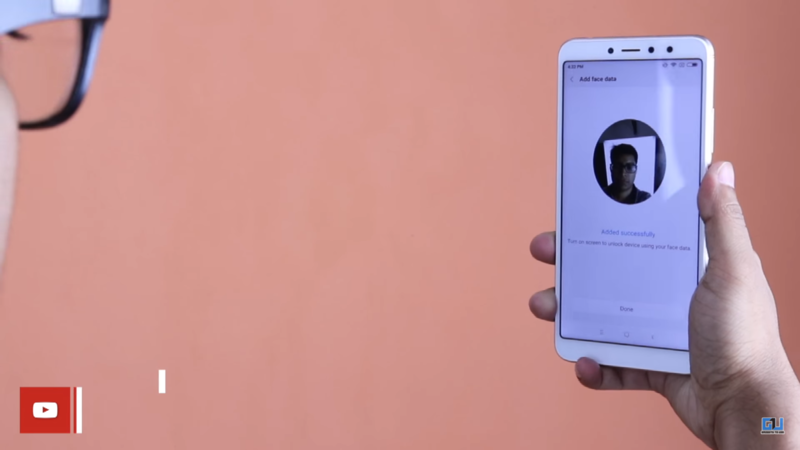 Question: Will the Redmi Y2 be available in offline stores? Answer: The Redmi Y2 will be available to buy online via Amazon India, Xiaomi India online store with the first sale starting on June 12. 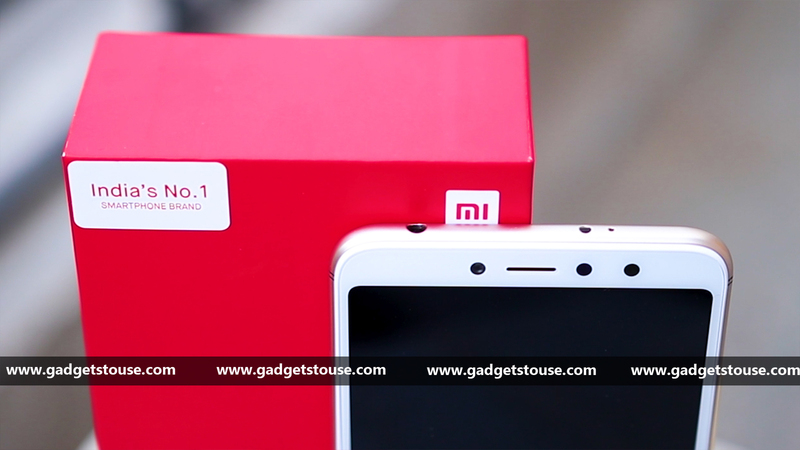 Also, the phone will be available offline via Mi Home stores starting from June 12 itself. Question: What are the color options of Redmi Y2 available in India? Answer: This Xiaomi Redmi Y2 will be available in all three colors in India including the Dark grey, Rose gold, and Gold.